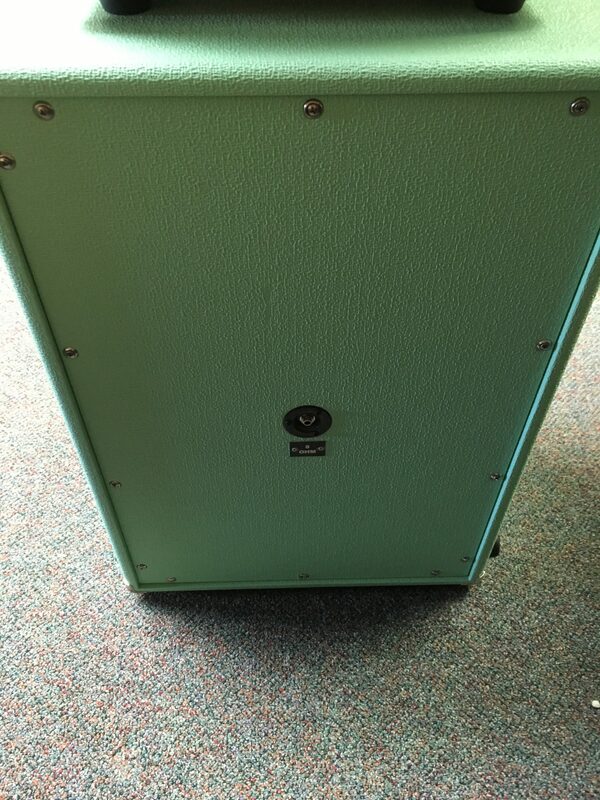 Dr. Z Z-Best 2×12 LT Cab – Surf Green in mint condition. 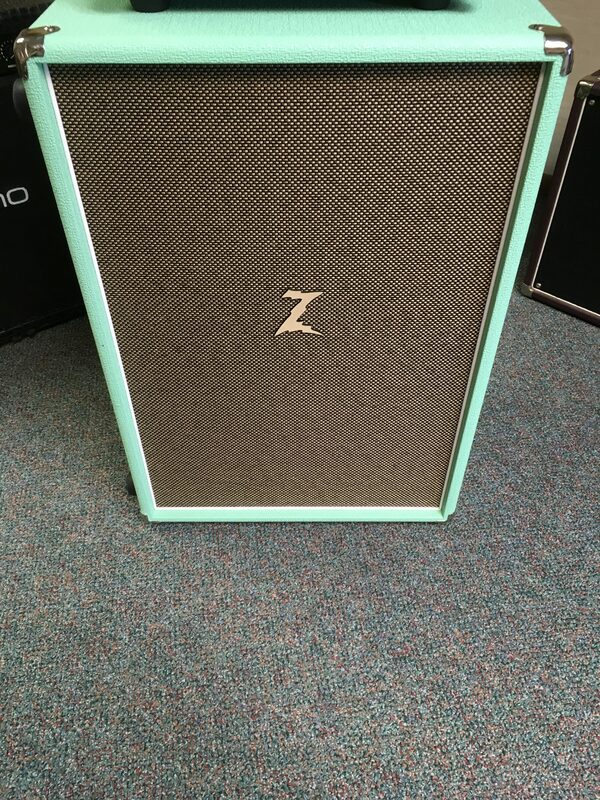 Dr. Z Z-Best 2×12 in Limited Edition Surf Green. Awesome sounding 2×12, hard to find in this color. 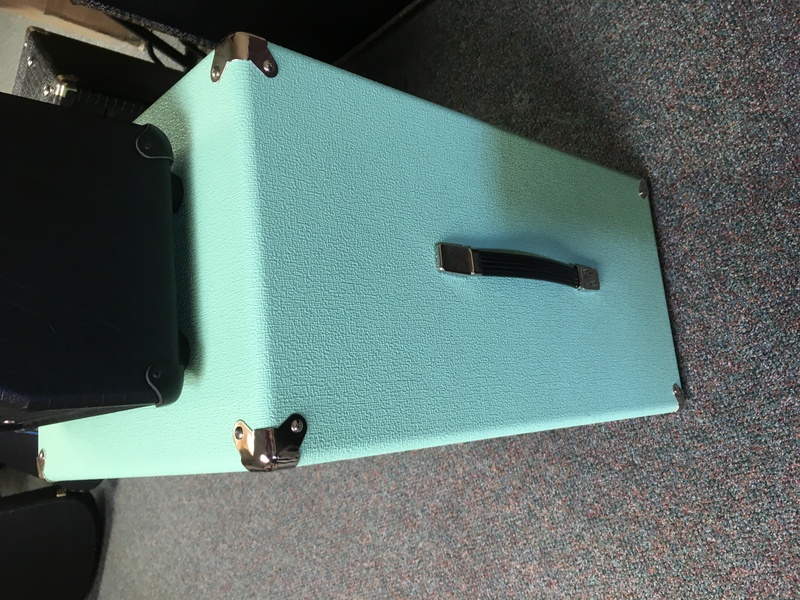 The Dr. Z Z-Best Cab is a 2×12 that is an animal all its own, and EASILY one of our favorite cabs here at Humbucker Music. 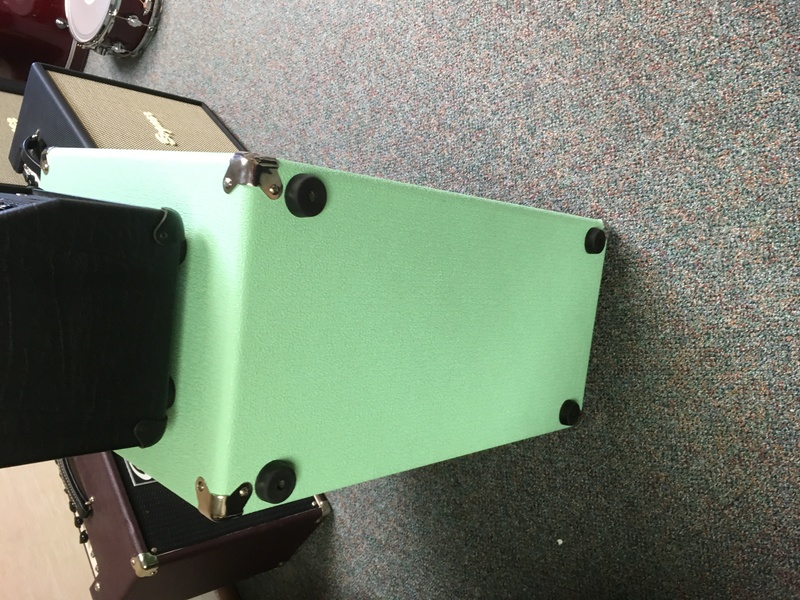 A 2×12 with the punch and low end of a 4×12! With the ZBest, Dr. Z utilizes a Theile Ported design which allows them to dial in the full frequency range of the guitar. Low end is determined by the port thickness, Mid response by the shelf depth, and Top end by choice of speakers. Placed vertically, the Z Best delivers a tuned focused sound. yet has the airy qualities associated with open back cabs. When placed horizontally, you pick a bit more low end as the port is then coupled with the floor. This is a long throw cabinet that will get the sound to the back of the room.